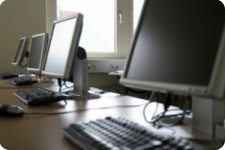 MecSoft Corporation offers a wide variety of classroom training options for our customers. All classroom training programs will be conducted by CAD/CAM experts at our training facility at our Irvine, CA offices. Training classes are offered in both CAD as well as CAM. Combination training of both CAD/CAM as well as CAD/CAM/CNC are also offered. CAD training involves training in 3D Modeling. 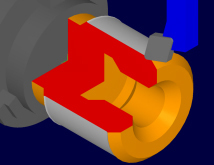 The modeling products currently used in CAD training is Rhinoceros 5.0. CAM training involves training in programming machine tools to machine models. 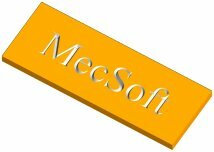 The products currently used in CAD training are MecSoft’s CAM products. These courses offer a broad overview of these disciplines and are targeted more for beginners who are getting into modeling and machining. Ready to learn CAD? These hands-on courses will teach you how to model in 2D and 3D using various CAD systems that we support. To order any of these training products please send email to sales@mecsoft.com or call us at 1-949-654-8163 to talk to a sales representative.This hands-on course addresses the needs of beginners to Rhino. Its objective is to familiarize students thoroughly with Rhino fundamentals and teach them to create and edit accurate free-form 3-D NURBS models. This fast-moving class covers most of Rhino’s functionality, including the most advanced surfacing commands. Please call us at (949) 654-8163 for upcoming training dates. 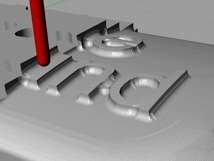 These hands-on courses will teach you how to machine your 2D and 3D models with a CNC machine, using our CAM software products. You will learn how to generate a toolpath for various types of machining operations, how to generate a G-code, and how to modify and customize it to run any CNC machine.To order any of these training products please send email to sales@mecsoft.com or call us at 1-949-654-8163 to talk to a sales representative. $1,000 per person. Group discounts available. 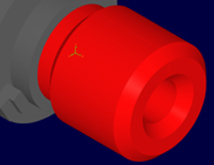 These hands-on courses will teach you how to machine your rotational models with a CNC machine, using our CAM turning software products. You will learn how to generate a toolpath for various types of machining operations, how to generate a G-code, and how to modify and customize it to run any CNC lathe.To order any of these training products please send email to sales@mecsoft.com or call us at 1-949-654-8163 to talk to a sales representative.